A biblical strategy to finance your ministry. How many potential missionaries never reach their field because raising support seems too difficult? How many Christian leaders abandon their ministry before it starts because of fundraising frustration? It happens too often. But it doesn't have to. learn how to manage your money well. Both fundraisers and their supporters will gain valuable insights from Scott Morton as he shares his own struggles, failures, and victories in raising support. Learn from his experience in this comprehensive guide and find the financial freedom you need to respond fully to God's call. Social Media and Email in Fundraising: Cake or Frosting? One of the most practical and needful books that I have ever seen. - Dr. Howard Foltz, president and founder of Accelerating International Mission Strategies. 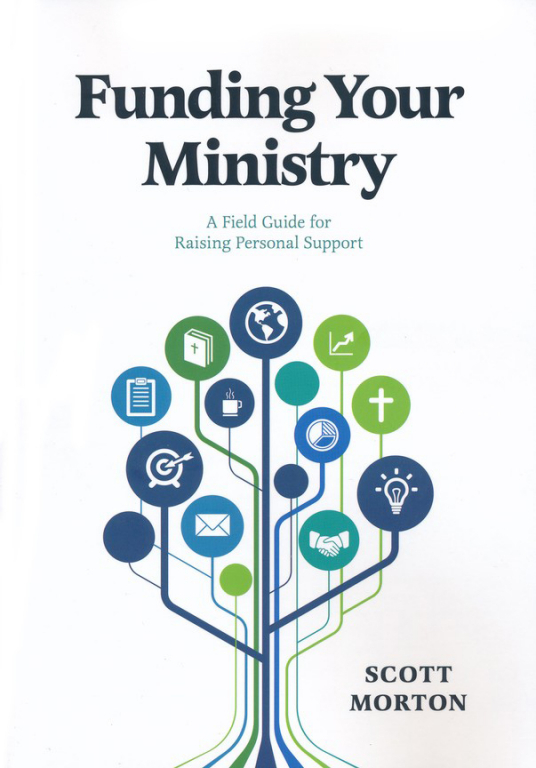 If you raise support, then Funding Your Ministry is a must-read. - Ellis Goldstein, director of ministry partner development for Cru. "We have been fully funded for at least six years and now have savings where we used to have debt - big debt. We know what to do to raise funds and don't question our 'call' like we used to when we were underfunded. We know how to trust God with our fears. We know God better." "The biblical studies on how God funds His work have been the single most important ingredient in my training. Through Bible study, reflection and wrestling with other missionaries on these issues, my convictions began to form."